Already at a more than affordable price the Kia Venga offers a choice of engines both diesel and petrol and manual or automatic. The 1.6 litre diesel returns up to 64.2mpg. The 1.6 litre ISG engine is the best for performance hitting 62mph in 10.6 seconds. The 7-year warranty comes as standard with all new cars and provides excellent long term cover. The interior is comfortable and well equipped as stated before. The ride is nippy and with light steering city streets won’t take their toll. Boot space is more then adequate at 440 litres and competes well against other rivals in its class. 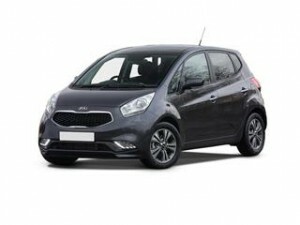 Build the Kia Venga of your dreams online today with our expert Coast2Coast Cars free quote service. It’s our best quotation system yet and gives you complete access to great money saving deals within minutes all via a quick form. We offer a personal yet professional service and could save you money on your next Kia. At no point are you under any obligation to take up the quote and we can help with finance as well subject to status. Our service is completely free and we can take the stress out of purchasing a new Kia Venga.